Old Woman Creek is one of the few naturally functioning estuary environments – places where chemically-distinct bodies of water meet and mix – left in the western basin of Lake Erie. This ecosystem features diverse habitats of marshlands, sand beaches, and upland forests, supporting plants and animals unique to natural coastal communities. Nearly 300 bird species (including bald eagles), 40 fish species, and hundreds of native plants have been recorded in this area. 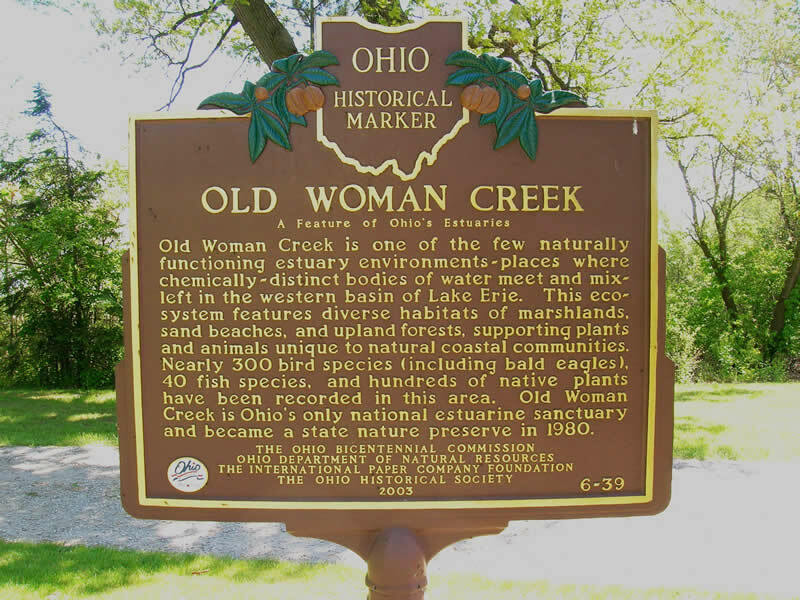 Old Woman Creek is Ohio’s only national estuarine sanctuary and became a state nature preserve in 1980.